There are many uses for walking canes, you can just have one for fashion, you can have one of travel or you can use them for your health. There are no limits, and the truth is that walking canes are back and more popular than ever. Largely thanks to the recent movie characters that use walking canes, like Dr. House Walking Cane and even Sherlock Holmes. 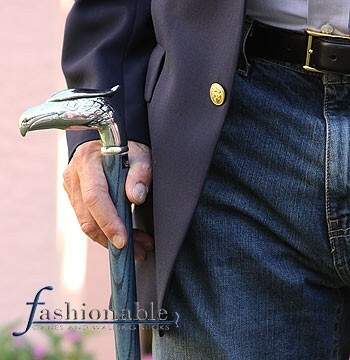 You can combine walking canes with various styles and still look amazing, and if you need walking sticks for hiking, well there is no need to think about styles. The one thing you need to remember that fashion is about a person, so if you like having something unique by your side that can also be very useful for walking and also for other things, like rain or even to scare someone away as there are umbrella canes as well as sword canes you can purchase. The choice of walking canes is grand, the only question is which one is right for you.